One of my favourite High Street stores, River Island, is opening it’s brand new shiny doors at Manchester Trafford Centre on Tuesday 20th October. The store has just been taking on a refit just before the Christmas shopping rush, making sure the beautiful new store is all realy for the partywear and gift shoppers flocking to Manchester for shopping sessions. The store encompasses a total floor space of 14,600 square feet, making it a key fashion destination in Manchester’s Trafford Centre. All department spaces have been expanded- womenswear, women’s footwear, menswear and kidswear – which will all still be on offer but within larger spaces and with much more lovely stock offer. 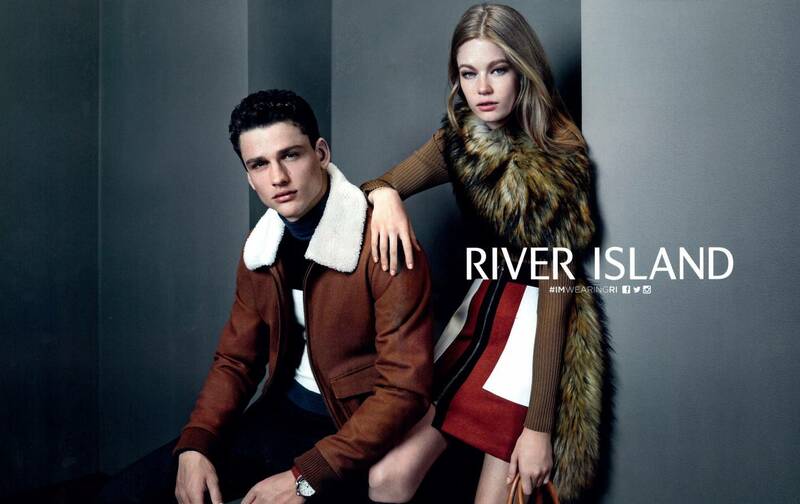 River Island was the very first fashion retailer I ever worked in, when I was 17 and studying at college. I worked weekends at the Manchester Arndale store, and maybe it’s because of this on-trend retailer that I developed such an obsession for fashion, thus leading me into a career in the fashion industry for the past 12 years! To celebrate the launch of the Manchester Trafford refit store, River Island are hosting a range of exciting activity on the opening day and opening weekend, with live in store DJs, competitions (entrants will have the chance to win up to £500 to spend in the River Island store, while customers spending over £30 on womenswear/menswear, or over £20 on kidswear, will be treated to a special gift and a complimentary Boost smoothie), gift cards will also be up for grabs in additional competitions, and all social media posts from the opening event will be hash-tagged #RITrafford. If you live in the area, why not check it out and be one of the first to experience the brand new store? As a Manchester fashion blogger, I’m also celebrating this refit by giving away a £100 River Island gift card for one of my readers! I’ll be announcing the winner on the day of the store launch – Tuesday 20th October – and all you have to do to enter is make sure you are following me on Twitter and retweet. Head to my Twitter account @whatemmadid_ and retweet my pinned tweet about the competition, making sure you are following. Open to UK residents only. Comp ends at midnight 20.10.15.